Melbourne musical theatre cognoscenti made their adoration of Patti LuPone clear, giving the first of many standing ovations the moment she stepped on stage. Part lovefest, part masterclass, Don’t Monkey with Broadway celebrated LuPone’s mighty career along with a generous serving of the songs that got away. The concert’s title comes from opening song “Please Don’t Monkey with Broadway,” in which LuPone laments the commercialisation, Disneyfication, overcrowding and outrageous prices of Broadway. Joined by masterful accompanist Joseph Thalken on grand piano, LuPone magically transformed cavernous Hamer Hall into an intimate cabaret venue. Extending the magic, at times we were taken back to LuPone’s childhood home, where she sang along to her mother’s Broadway albums. Having developed an all-encompassing love of Broadway, LuPone shared songs that she loves to sing, happily ignoring, as she did as a child, the age/gender/race of the intended characters. Selections stretched all the way back to Rodgers and Hart (“I Could Write A Book” (Pal Joey) and “There’s a Small Hotel” (On Your Toes)), on to Rodgers and Hammerstein (“Happy Talk” (South Pacific) and a very funny “I’m Just A Girl Who Cain’t Say No” (Oklahoma! )), and through the decades to Hair(“Easy to be Hard”) and Sweeney Todd(“Not While I’m Around”). Joined by the sumptuous sound of Melbourne choral group Polyphonic Voices, LuPone expanded her repertoire to rousing chorus numbers, beginning act two with “Trouble” (The Music Man) and “Sit Down, You’re Rockin’ The Boat” (Guys and Dolls). As with her 2009 Melbourne concert with Mandy Patinkin, the key thrill of Don’t Monkey with Broadwayis LuPone’s extraordinary acting ability through song. She can take a lyric that has been sung countless times and make it compelling, surprising, moving, amusing in ways never heard before. Telling an audition story, LuPone gives us a delectably droll performance of “Hey, Big Spender” (Sweet Charity) that was an absolute riot. 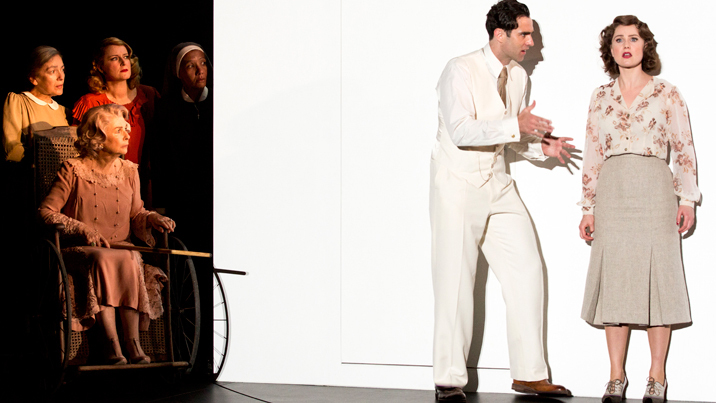 The music and monologue of “Millworker” (Working) were performed with startling realism. The swelling crowds of “Another Hundred People” (Company) seemed to be there before our eyes, and the title song of Anyone Can Whistleplaysed out like spontaneous musical musings. Powerhouse anthem “Being Alive” (Company) brought a tear to many an eye. 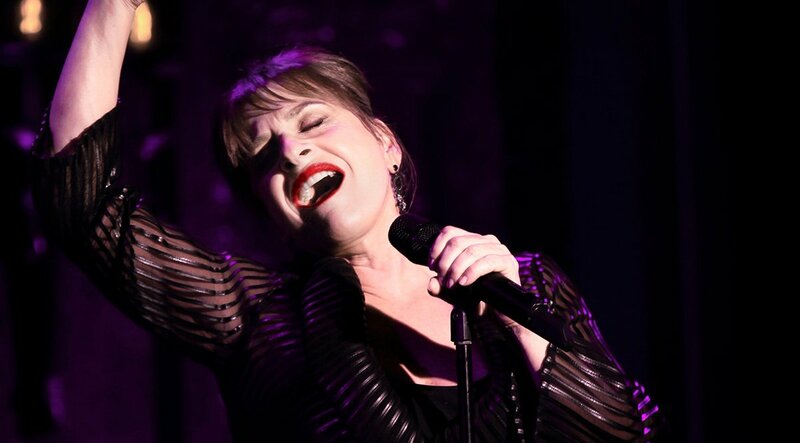 Over and above the warm nostalgic glow of LuPone’s musical reminiscences, the evening’s most thrilling moments came from hearing signature tunes from her iconic Broadway roles. The Baker’s Wifewas to have been LuPone’s big Broadway break, but, alas, the show never made it into town; it did, however, give us the gorgeous ballad “Meadowlark.” LuPone belted “Some People” (Gypsy) out of the arena, and ended act one with eternal classic “Don’t Cry for Me, Argentina,” (Evita), which was worth the price of admission alone. Polyphonic Voices backed LuPone for the hypnotically lovely “Sleepy Man” from LuPone’s first Broadway musical, The Robber Bridegroom. LuPone brought down the house (again) with “The Ladies who Lunch,” a number LuPone will soon be belting again, in the imminent West End revival of Company. LuPone ceded the spotlight to Polyphonic Voices for their glorious a capellaperformance of “Over The Rainbow” (The Wizard of Oz). The choir rejoined LuPone for the moving finale, an acoustic rendition of tender prayer “Some Other Time” (On The Town). 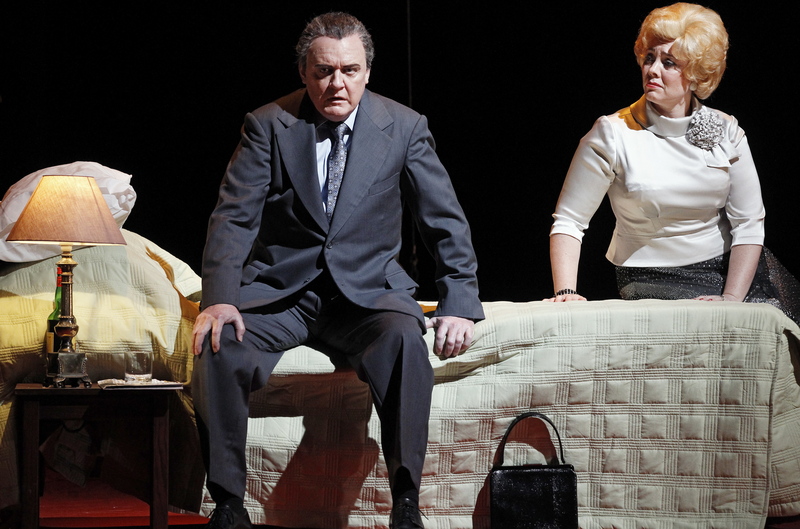 A single encore brought another chance to hear LuPone’s vocal power without amplification. Reflecting on the timeless treasure of the evening’s songs, LuPone ended with “A Hundred Years from Today.” The roaring crowd was left with memories to treasure from a mesmerising evening of the best of Broadway. Patti LuPone: Don’t Monkey with Broadway played at Hamer Hall, Arts Centre Melbourne 8pm Saturday 30 June 2018. Note: Don’t Monkey with Broadway was conceived and directed by LuPone’s frequent collaborator Scott Wittman, Broadway lyricist famed for Hairspray and Catch Me If You Can. Sandy, wasn’t the unfamiliar material great ? Love it when I’m shaken out of my musical theatre comfort zone and discover material that’s been around for years. Simon ,happy you enjoyed the magic of Patti Lupone.in Melbourne. 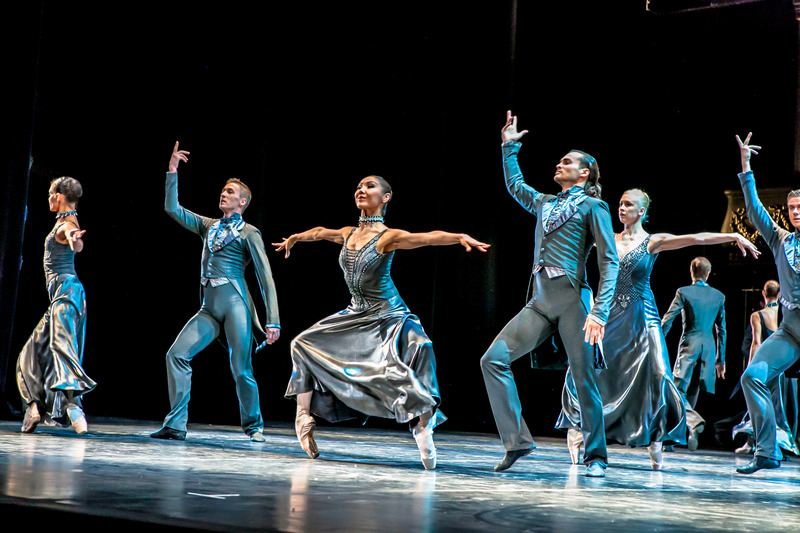 The enthusiasm of the Adelaide audience was also rapturous yet still as night during the soft, quiet moments. As with the Ramin Karimloo concert in Melbourne the absence of camera and phone use during the performances was respectful and dignified…..class all the way. Your review is a wonderful record and memento of the event and will take pride of place in my scrapbook. P.S. Exciting news that Gemma Rix will get to perform Evita at a few of the Melbourne shows. Thanks for these comments, Edward. It was a bit of a shame that there was no program for Patti’s concert. I wanted to include as many of the details of the show as possible to make a record of the event. I will definitely be attending one of Gemma Rix’s performances of Evita in Melbourne. What a perfect match of actress and role!